If you own Battlefield 3™ Premium, DO NOT purchase this content here as you will be charged again. This is one of five expansion packs included in Battlefield 3 Premium. You might want to consider Battlefield 3 Premium instead. 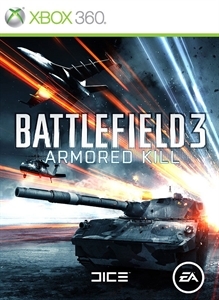 Battlefield 3™: Armored Kill ups the ante for vehicular mayhem as only Battlefield™ can do. Featuring new vehicles and persistence, Armored Kill also includes the biggest map in Battlefield history.